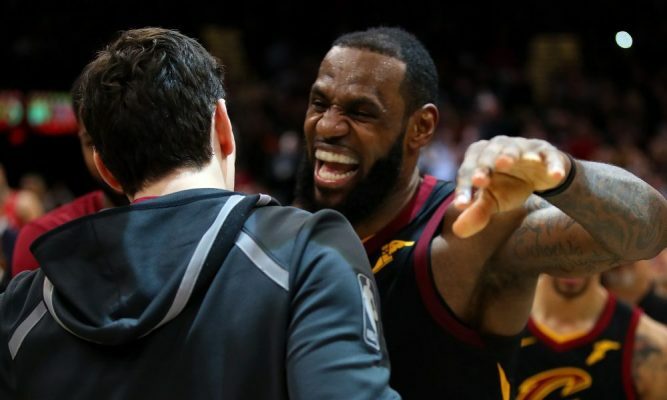 Last season, a bond was forged between then-Cleveland Cavaliers forward LeBron James and his teammate Cedi Osman that managed to ignore all cultural barriers. Despite James leaving in free agency nearly three months ago to play for the Los Angeles Lakers, he’s made the effort to continually stay in touch with Osman. With James having left, Osman is a potential candidate to try and fill at least a portion of the hole left by the future Hall of Famer and one of the greatest basketball players ever. That’s an impossible endeavor, but Osman showed hints during his rookie campaign that he’s capable of competing in the NBA. The Cavaliers first acquired Osman’s rights on the night of the 2015 NBA Draft, but didn’t sign him until July 2017. In the interim, he competed internationally, which made his transition into the NBA an easier proposition. The fact that he was already fundamentally sound and showed himself to be a team-first player was part of what endeared him to James. Osman and his mentor will face each other twice during the upcoming regular season, with the first matchup taking place at Quicken Loans Arena on Nov. 21. The rematch will then be in Los Angeles in January.